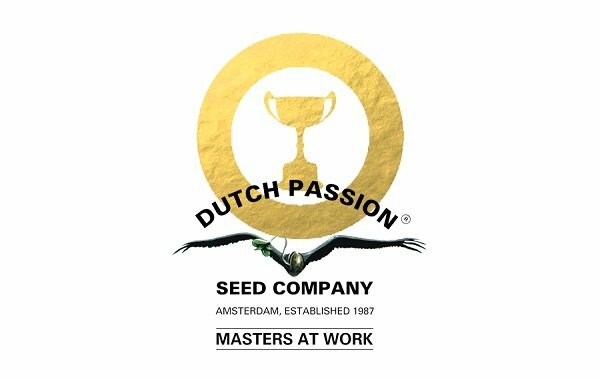 Dutch Passion is one of the first seed companies established in the Netherlands. They have been developing and producing cannabis seeds since 1987, and have won countless awards for their great products. Zamnesia offers dozens of feminized and autoflowering strains from Dutch Passion that will guarantee you pure quality and great results, even if you are an inexperienced grower. 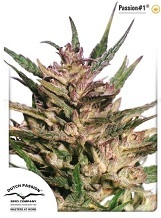 The name “Dutch Passion” stands for hardy, top-quality seeds which will never disappoint you. The latest craze in the world of autoflowering feminized cannabis strains. Produces significantly higher crops than other AutoFem varieties, while retaining the characteristic effect of its Sativa heritage. Set to become the industry standard to which other autoflowering fem strains should be compared. A professional career devoted to cannabis breeding gives one the right to be the judge of a great cannabis strain. After spending 20 years as one of the Dutch Passion best growers, Freddy had pretty good reasons to call his last creation "Freddy's Best". Lifetime experience and best genetics he came across in one. Something to enjoy! At 20% THC, HiFi 4G is a beginner-friendly hybrid that all recreational smokers will appreciate, but is particularly coveted by music fans. She'll relax your mind, open your ears, and sharpen your senses until every tune sounds way richer and more focussed. If you can't get a ticket to the next big concert, get some HiFi 4G flowers. It'll be like your favourite band is playing just for you! Dutch Passion spruces up their classic line with Mokum's Tulip, a spectacular Gelato x Sherbet cross. The relaxing high is strong and durable thanks to a very generous 22% THC, but that's easy to find nowadays. What sets Mokum's Tulip head and shoulders above other strains is her intoxicatingly sweet aroma and matching flavour. This will definitely be the sparkling gem of any garden! With commercial growers dominating the market for cannabis seeds, quantity of the yield became the Holy Grail of most breeders. Though the new strain from Dutch Passion does reasonably well in this terms too, it is the unique stone that makes it a must in every real marijuana connoisseur's garden. Not only is Meringue one of the smoothest smokes you'll find in the Dutch Passion catalogue, she's one of the sweetest too. This indica-dominant Wedding Cake x Animal Cookies cross offers massive yields of dense, crystal-coated buds that spiral to form gigantic, spear-shaped colas that swallow the sugar leaves whole. The 3-hour high certainly puts the icing on the cake! Meeting a popular demand, breeders from Dutch Passion managed to recreate the original Night Queen that filled the lungs of stoners in the 1980's. The traditional strain with a touch of modernity to it is now available in the feminized form. High levels of THC and high CBD will quickly make you... well, high! Deriving from the original Dutch Passion classic Mazar, AutoMazar is a robust cross of indica and ruderalis genetics. This combination results in a strain with astonishing yields of sticky buds and a speedy life cycle of only 10 weeks. 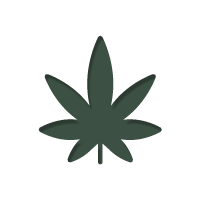 Indica-lovers will appreciate the classic indica effects and Mazar flavour profile. The first autoflower from Dutch Passion to use Critical genetics has already become a bestseller, with lots of growers loving the strain’s unusually powerful high. Fast and easy to grow, Auto Critical Orange Punch is perfect for everyone who wants connoisseur quality and top-shelf potency! Quantity or quality? Both. That is the answer of Dutch Passion breeders to the growers dilemma. The Ultimate, a 50-50 hybrid of Sativa and Indica allows you to achieve very high yields, without compromising the quality of the smoke, not one bit. Yet another wonderful offering from the Dutch Passion! Designed as an outdoor variety, Dutch Passion's Frisian Dew is a guarantee of generous crops and a lasting smile on the smoker's face. 50/50 Indica-Sativa, a real beauty to look at, with dense, light purple buds. Little leaves allow the plant to concentrate all its energy to develop the dense, shiny flowers. A mostly Indica plant that won several cannabis awards, producing a tasty, fruity marijuana. A deserved first place in the general category at the High Times Cannabis Cup tells a lot - Dutch Passion's Blueberry is one of those strains that create history. An absolute must among the serious grower's collection. Crossing one of Dutch Passion's favorite strains with cannabis ruderalis resulted in a fully autoflowering Blueberry, which allows connoisseurs to enjoy the rich, aromatic smoke after just 10 weeks from germination. Superb gene pool and generous harvest of top quality marijuana without the need to switch the lighting schedule. With over 30 years in the business, Jorge Cervantes - author of numerous growing guides and a professional cannabis grower - knows just about everything about cultivating your own weed. Working on the seeds gathered throughout the decades by Dutch Passion, he put his whole experience into practice and created Jorge's Diamonds 1. A strain you will most definitely come back for - once you're in it, you'll love it. Orange Bud from Dutch Passion was derived from the 100% original Skunk parents, thus drawing from the noble genetics going back to the groundbreaking breeding developments of the 80's and the 90's. 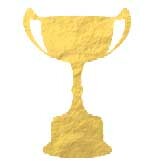 Several well deserved Cannabis Cup awards and 16,5% of THC - enjoy! Among hundreds of different cannabis strains available on the market, there are a few names that every stoner heard of and filled his lungs with. The original White Widow from Dutch Passion is certainly one of those - providing the unabated enjoyment to a whole generation of growers and smokers alike. A popular old school hybrid with roughly equal share of genetics of Indica and Sativa. Direct descendant of the original Afghan species, one of the strongest strains and a hallmark of the Dutch Passion breeding geniuses. The name comes from one of the world biggest hashish production regions Mazar-i-Sharif in the Northern Afghanistan. A rare opportunity to taste the true South African cannabis, created by Dutch Passion exclusively by selective inbreeding of pure Durban Sativa s. A great choice to experience some of the world's best cannabis genetics - as close as possible to the all natural marijuana one can think of. A great F1 hybrid strain between the best quality Skunk female and a high achieving Purple #1 male plant. With three quarters of Sativa genes and a quarter Indica, the Dutch Passion feminized Shaman has a wide, Sativa type intermodal spacing, as well as juicy, dense Indica buds. Created by the notorious Dutch Passion breeders from the world's most stress relieving Sativas, the feminized Strawberry Cough might be one of the most enjoyable marijuana on the market. Once the smokers lungs fill with its smoke, any possible anxiety immediately disappears, only to be replaced by pure euphoria. A long standing classic from the wide Dutch Passion cannabis seed choice. Now available as a feminized strain, the Brainstorm is recognized for its huge yields and strength that it inherited from its parents: the Northern Lights #5 and the 100% pure original Haze. A much acclaimed strain derived from the pure Indicas brought from their Afghan homeland. A high yielding, potent plant with very high levels of both THC and CBD. Don't get mistaken by the smooth, sweet aroma - the Dutch Passion feminized Master Kush is a real killer weed that produces a lasting stone. An old school cannabis strain, dating back to the cross breeding done in the early 1980's. Despite new strains coming to the market every year, Dutch Passion's Californian Orange has managed to stay popular for decades, due to its stable high yield and pleasant smoke. The namesake of one of the biggest and oldest seedbanks in the Netherlands, Passion #1 by Dutch Passion is an extremely potent pure Indica with the genetics of Californian Indicas from the 70's and 80's. A giant plant with huge yields and amazingly high THC content. With origins dating back to the ‘70s, Dutch Passion is one of the Netherlands’ oldest seedbanks; and this experience can be easily seen in the quality of their seeds. The team boasts many years spent honing their skills and refining world-class genetics, resulting in numerous award-winning strains. Their story starts back in 1972, when Henk van Dalen, the founder of Dutch Passion, first began growing cannabis to meet his own personal requirements for high-quality bud. With formal academic training in biology, as well as in the pharmacology and effects of psychedelics, Henk utilised his knowledge to push his cannabis plants to the limit. At the time, people in the Netherlands had to rely on imported weed if they wanted good quality. Henk aimed to change this, and through his network of contacts, he slowly started making a name for himself as a home-grown breeder of top-shelf cannabis. Eventually, Henk saw his breeding become more and more in-demand. So in 1987, he founded the Dutch Passion Seed Company. His goal was to make great genetics available for people to grow at home, allowing everyone to enjoy the benefits of top-grade cannabis and control how it is grown from seed to harvest. It is a philosophy that has persisted to this day, and has shaped Dutch Passion into the titan it is now. We are always taken aback by the love with which they talk about their seeds whenever we meet them; they continue to innovate and experiment with genetics, producing marvels of the cannabis world. As a testament to their prowess, Henk was awarded the first ever High Times “Dutch Master” award back in 2011, in recognition of his significant contribution to the cannabis community, and breeding as a whole. Great examples of Dutch Passion cannabis seeds include classics such as Frisian Dew, Orange Bud, Hollands Hope, and AutoMazar. Dutch Passion ships all seeds in their own brand of unique packaging. In the past, seeds were placed within a small paper envelope that detailed the information about the strain held within. Although appreciated by some growers, many found the packaging to be insufficient when it came to protecting seeds. As such, Dutch Passion has introduced new, small metal tins, containing an envelope holding the precious seeds. The tin helps protect the seeds from potential damage during transit, and the envelope is now outfitted with moisture-retention capabilities to keep seeds in the best possible condition. 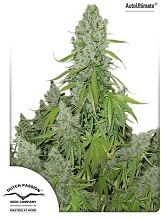 Cannabis seeds by Dutch Passion are available in quantities of 3 in both feminized and autoflowering varieties. Indicative of their breeding expertise, Dutch Passion has won many awards for their cannabis strains over the years. Here is a list detailing all of the award-winners they have produced, as well as what they won. A classic from the ‘80s, Mazar is a cross of Skunk #1 x Afghani. The result is one of Dutch Passion’s most renowned strains, and is synonymous with high quality. Her genetics were revitalised back in 1997 to add a refined nature that can still be experienced today. Mazar induces a deep and relaxing body stone that also lowers the mind into comfortable bliss. She exhibits a toughness and vigour that make her a great choice for novice growers. 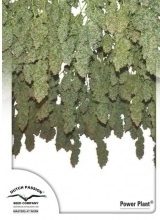 Mazar grows with a short, Christmas tree-like stature, flowering in 8–9 weeks and producing very generous yields. With genetics hailing from South Africa, Desfrán is the crossing of two exemplary specimens of Destroyer. The result is one of Dutch Passion’s most decorated strains, blowing minds the world over. She is a 100% sativa plant, taking up plenty of space in the grow room and melting the mind with a potent sativa uplift. Expect a euphoric high that lifts the mind clear out of the body, combined with a sweet, fruity, caramel flavour. Desfrán needs a lot of room to flourish; however, if you have the space, you will be rewarded with large amounts of resin-coated nuggets after just 9–10 weeks of flowering. She is a winner for any sativa-lover out there. A mix of Super Skunk x Purple Star, Frisian Dew is one of the most gorgeous outdoor varieties around. She produces mystifying shades of purple as she flowers, becoming coated in a layer of resin that glistens in the sun. As a 50/50 hybrid, Frisian Dew induces a mixed high, uplifting the mind as it relaxes the body. Frisian Dew displays more than just good looks; she is highly resistant to mould and grows with a healthy vigour. Her flowering time is roughly 7–8 weeks, producing extra-large yields. Although she can be grown indoors, it is outdoors that she truly flourishes. Hailed as the original Blueberry, Dutch Passion has produced a cult-classic with fruity and sumptuous flavours. She is a bit of a fussy feeder, and thus, better-suited to a more experienced hand; but if you put in the time and effort, you are rewarded with connoisseur-grade bud that both tantalises the tongue and relaxes the body. Blueberry has a flowering time of roughly 9 weeks, producing medium yields. A Dutch coffeeshop favourite, White Widow is a wildly popular strain that has stood the test of time. Dutch Passion’s variety of White Widow has been bred to emphasise the most desirable traits of this strain, making her stable, consistent, and easy to grow. As such, this classic is just as suited to the novice grower as it is the veteran. White Widow induces a sky-rocketing high, uplifting the user into euphoria. White Widow is easy-going, flowers in 8 weeks, and can produce very generous yields. The perfect choice for anyone wanting to try out a timeless classic. Passion #1 is a legendary Californian indica that has remained a favourite of many outdoor growers over the years. Not only is she stable and easy to grow; if planted early in the season, she can reach up to 3.5m by the time harvest comes around. As you can imagine, that comes with some pretty significant yields! She induces an energetic and uplifting buzz that follows up with a deep and relaxing stone. With a flowering time of 6 weeks, indoor growers can take advantage of some super bud—as long as you have the space to grow her! Dating back to 1997, Power Plant sent waves through the cannabis market upon its release, becoming an instant hit among growers. As the name suggests, she is all about raw power, outputting large yields and potent effects. Her aroma has a fresh, piney quality to it, with her smoke also having a slightly sweet aftertaste. The high induced is one of smooth uplift—energising, motivating, and inspiring the user. With a little too much, she tips over into a couch-lock of cerebral euphoria. Flowering in 8 weeks and producing extra-large yields, she is a sativa-dominant beauty worth any grower’s time and energy.